Consequently, my ancestral journey transitioned from a personal family history journey, to a much broader sense of consciousness…that of the desire for public awareness of a now defunct Italian community in New York City. This “microcosm” of an urban neighborhood was “developed” in the 1870’s, with the building of tenement housing, and was originally inhabited by Italian immigrants, primarily male laborers. I discovered a broader sense of the “pulse” of this Italian community, through the voices of my father, his brothers, sisters, cousins, and others who once lived in East Harlem, when it was referred to by its residents as “Harlem.” As I listened to the stories of a bygone time, resounding with carefree thoughts of the “good old days,” it occurred to me that there was much more to this old neighborhood than the stories that were resonating in my mind. I was right! The posts that I have shared, and will share, within this blog, are a testament to the true nature, and fabric of a place that really mattered to a multitude of Italian immigrants and their families. As I am drawing near to the 11th year anniversary of what has become a nostalgic endeavor of “genealogical/anthropological/sociological/historical” research of “Ye Olde Italian Harlem,” I must tell you that this historical journey has been, and will continue to be an intrinsic part of my life here on this planet. My interest in preserving the memory of Italian Harlem will never falter. My research is a true passion of mine, one of many passions that I am fortunate enough to have in my life, including first, and foremost, my beautiful children, a loving and devoted husband, and my adorable rescue Shih Tzu furbaby “Romeo.” I also embrace my love of photography, and my fascination for the metaphysical sciences! 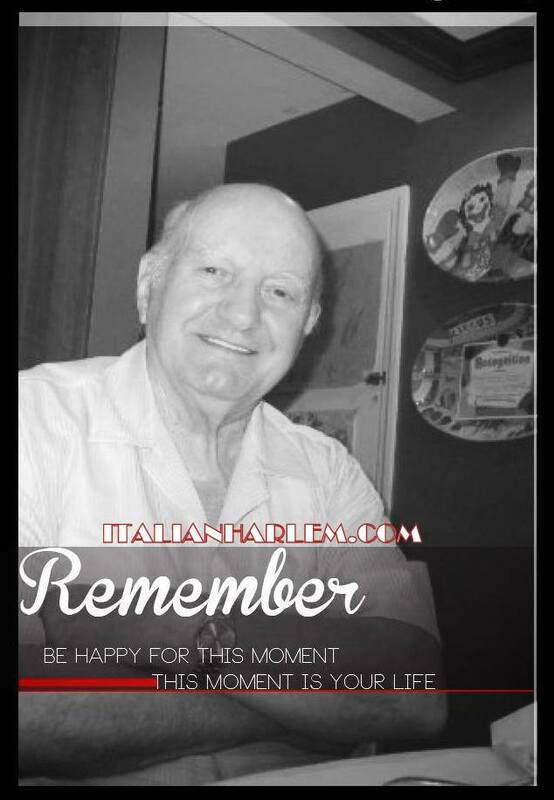 If there was one person that instilled in me an interest in the history of Italian Harlem, it was my father. 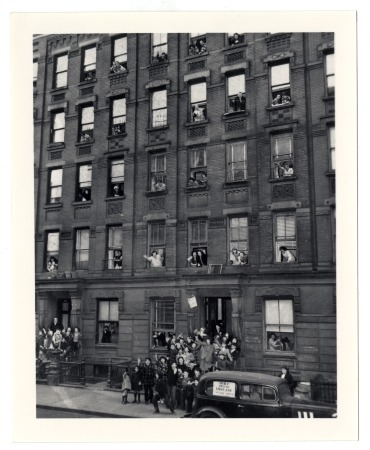 My dad was born in 1924 in a tenement apartment on East 110th Street, right next to St. Ann’s Church. He was one of 7 children. His dad, Anthony (Tony) was a produce shop owner, who also sold fruits and vegetables on a pushcart on First Avenue. My dad’s mom, Catherine (Katie) was a seamstress, church secretary, playwright/producer, milliner,(hatmaker) homemaker, realtor, entrepreneur…a true Renaissance woman. I learned so much about my grandparents, and great grandparents, thanks to the amazing memory of my father, Albert, and his siblings. I am forever grateful to them for sharing with me, through their youthful eyes, their life and times in the old neighborhood. My father, who was “larger than life,” passed away 3 days before his 89th birthday, in January of 2013. I dedicate this website to the memory of my wonderful and charismatic father, who was known by many as “Uncle Al.” Although he had hoped to live to “a hun 10,” (as he would often say,) his bright spirit and memory lives on throughout this weblog and within the lives of those who knew, and very much loved him.